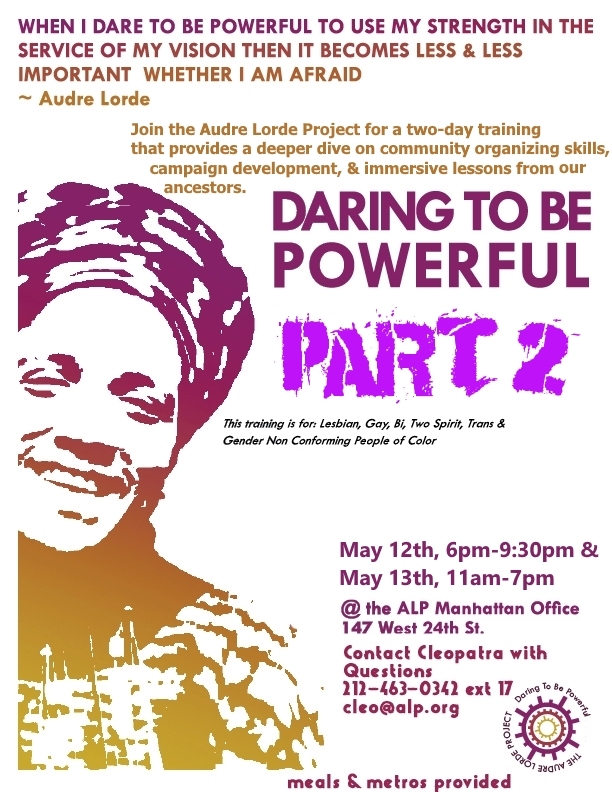 The Audre Lorde Project is a Lesbian, Gay, Bisexual, Two-Spirit, Trans and Gender Non-Conforming People of Color community organizing center focusing on the New York City area. Through mobilization, education and capacity-building, we work for community wellness and progressive social and economic justice. Committed to struggling across differences, we seek to responsibly reflect, represent and serve our various communities. 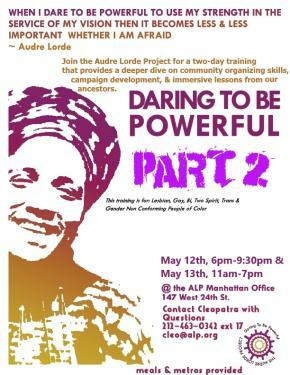 The Audre Lorde Project aims to build both individual and collective power to better challenge the multiple oppressions faced by LGBTSTGNC People of Color communities. This training program therefore allows for skills-building, analysis of oppression, power & current issues, and offers opportunities for strategizing and additional investments in community organizing.